Angus is good. Harris Teeter USDA Choice Reserve Angus Beef® is better. Whether your guests enjoy their meat rare, medium or medium well, Harris Teeter USDA Choice Reserve Angus Beef is consistently tender, juicy and rich with flavor. Every time you watch your guests take a bite of their steak or roast, smile happily and say, “You’ve got to taste this beef,” you’ll be glad you selected Harris Teeter USDA Choice Reserve Angus Beef - the gold standard of Angus beef. 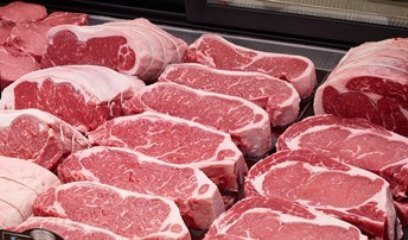 From rancher to retailer, Harris Teeter Rancher Beef is carefully checked and tracked to make sure it meets our strict guidelines for quality and tenderness. Harris Teeter Rancher® Beef guarantees tender moments with your family around the dinner table. That’s because our ranchers produce great tasting, all natural beef that consistently earns the exclusive Tender Verified seal. 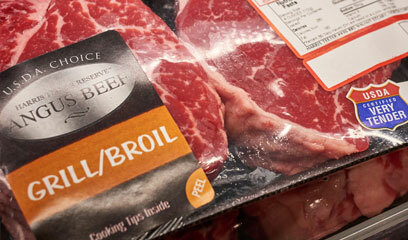 For your family, that means beef that cooks up tender and juicy time after time – or we will double your money back. Prime Beef Delivers the Highest Possible Quality! 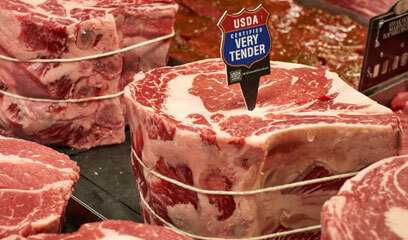 Harris Teeter Prime Beef delivers the highest quality eating experience with the most marbling of all grades. 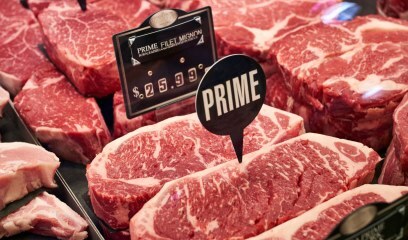 Prime beef ensures consistently juicy, tender and flavorful cuts that are sure to please even the most discerning guest. Only 2% of all beef meets the strict standards necessary to be considered Prime. When your guests taste Harris Teeter Prime Beef they will understand why prime quality is second to none. Selecting and cooking beef has never been easier. Choose a cut of beef from our Simple Cooking tips guide and you'll be cooking with the best of them. Each fresh beef selection comes with simple cooking instructions so that you always know how to prepare your favorite beef dish.